These days it's easier to find English-language theater in the city. 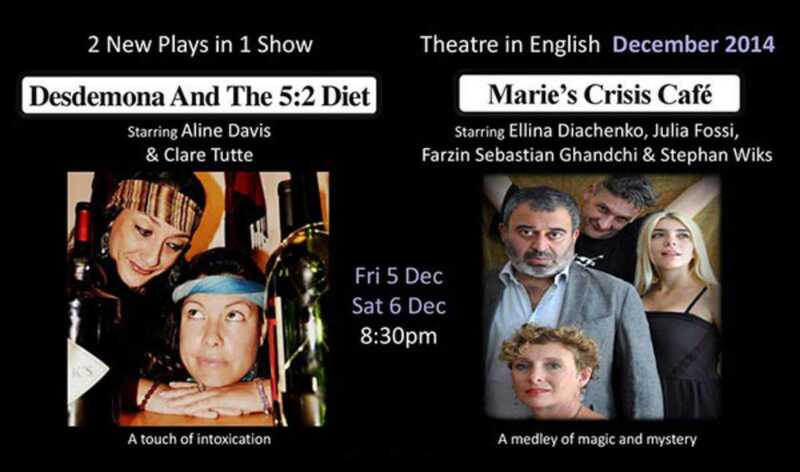 Tonight, beautiful historic bar and theater Tinta Roja play host to two new productions in one show: Desdemona And The 5:2 Diet, starring Aline Davis and Clare Tutte, as well as Marie's Crisis Cafe, starring Ellina Diachenko, Julia Fossi, Farzin Sebastian Ghandchi and Stephan Wiks. Both works are written by Georgina Tremayne and directed by Hunter Tremayne. The show's running time is 70 minutes. Proceeds go to support women's collective AADAS, a non-profit organization that helps women and children who have suffered sexual abuse.